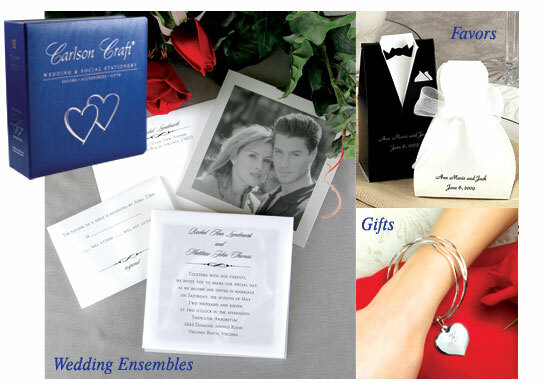 personalized stationary, gifts and bridal supplies from Carlson Craft. holiday greeting cards and more. *20% Savings for online shopping only. SAVE 10% on all orders placed in our store. the nation's largest printer of wedding and social stationery. accessories, gifts and favors with a personalized touch. contemporary invitations to choose from. Also featured are self-mailing pockets. all occasions, monograms, lettering styles and foil swatches.